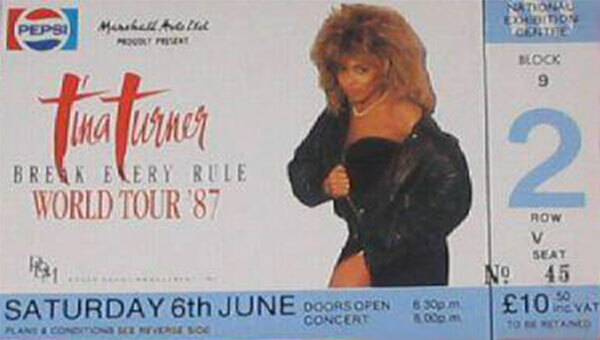 Tina travelled from Dublin to Glasgow, Scotland to perform 3 sold out concerts at the S.E.C.C. Unfortunately we don’t have any audio or video material to share. 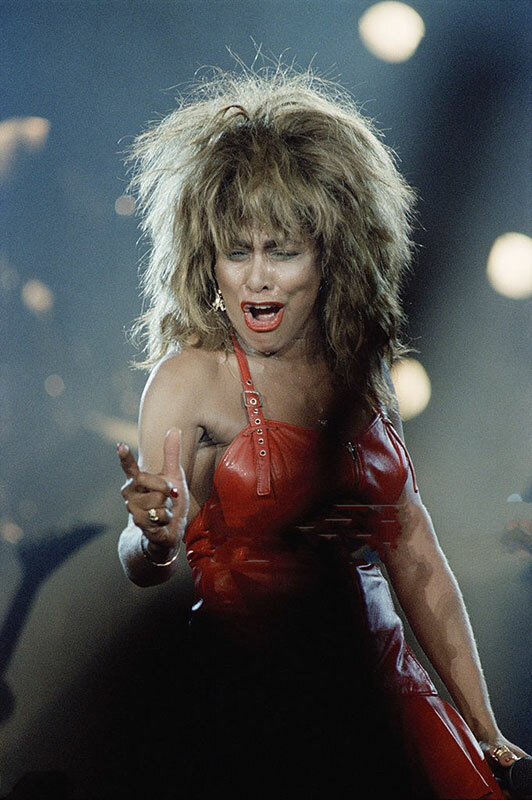 We do know that Tina occasionally started to perform "Acid Queen". We’ve found a setlist of the concerts, a picture of Tina arriving at the airport of Glasgow and a picture taken during the concert. Here they are. Time for Tina to show herself again in The N.E.C, Birmingham. 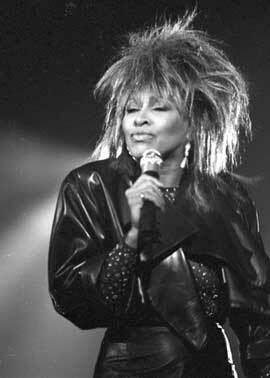 Tina taped her HBO special of 1985 here during her "Private Dancer Tour". Her special guest in 1985 were David Bowie and Bryan Adams. During this tour, Tina Brought Robert Cray with her as special guest. Tina sold out 4 nights in Birmingham. 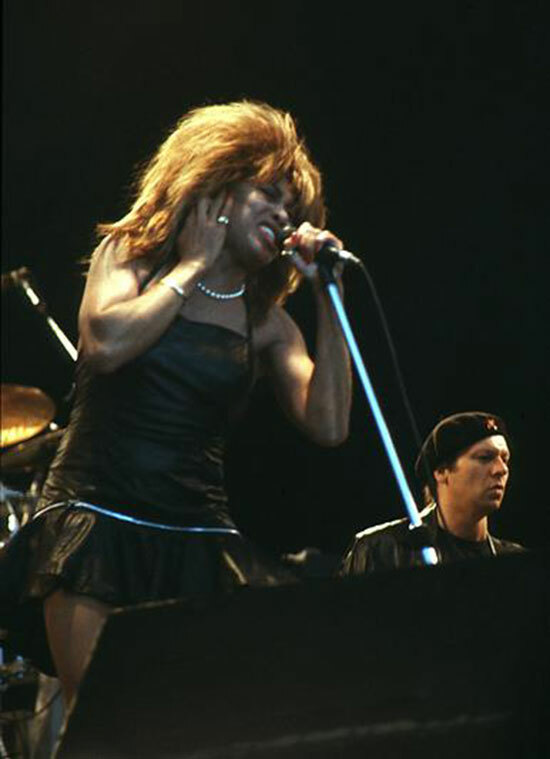 Due to her special guest, Tina added two songs during these concerts. 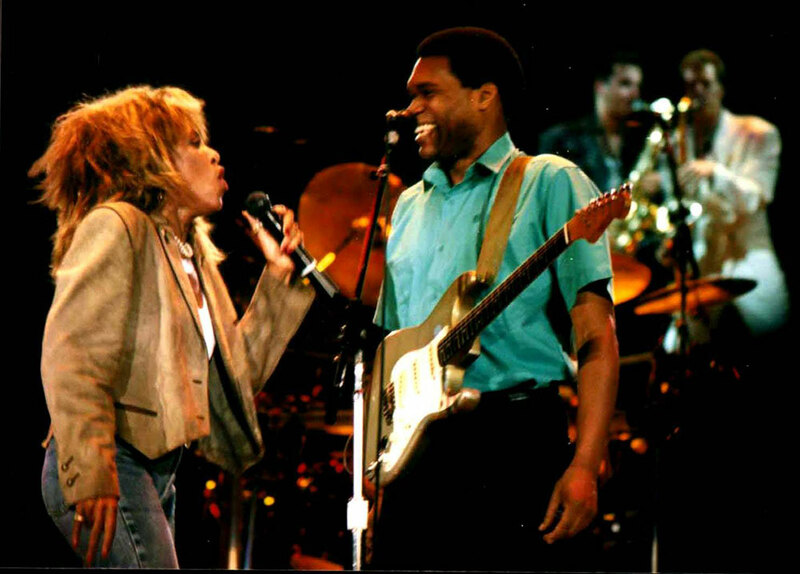 "A Change Is Gonna Come" and In "The Midnight Hour", which she would perform together with Robert Cray. We have a recording of it, and would gladly share it with you. It isn’t the best quality, but sure is worth listening it. Enjoy! Before leaving Birmingham, Eric and Tina released the single "Tearing Us Apart" on the 8th of June 1987. HELLLOOO LONDON!!! Tina arrived at the Heathrow Airport in London, to perform 7 sold-out nights in the Wembley Arena. Tina loved London, and lived there for several years, as we saw in the Playmate interview. Tina brought a few surprises with her to London. Like Eric Clapton and Robert Cray. Tina invited Eric to perform their song "Tearing Us Apart" together. 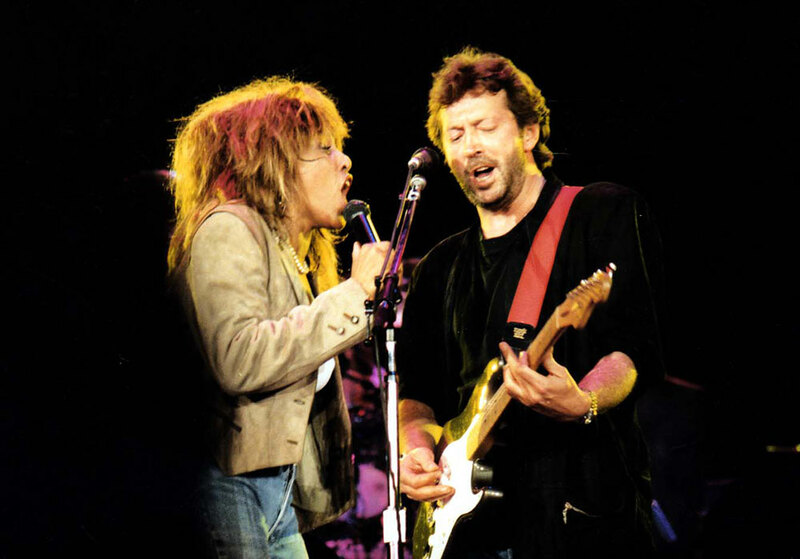 This version became released on the "Tina Live in Europe" album in 1988. 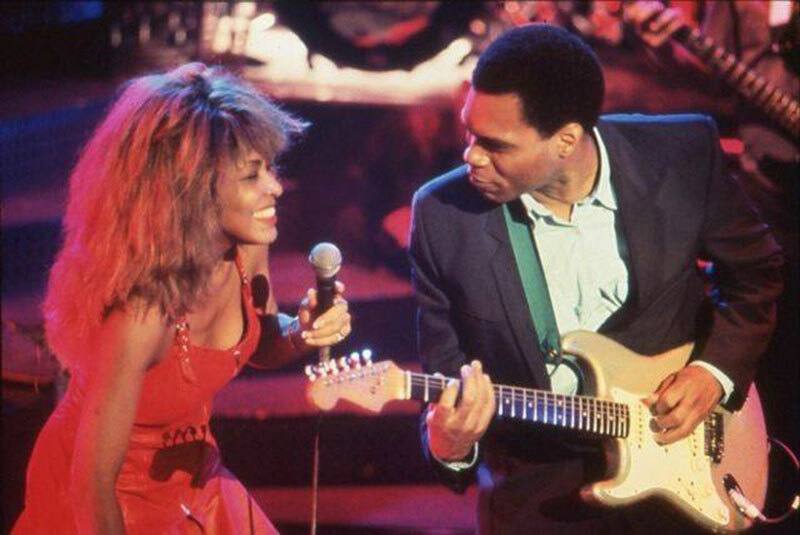 Tina and Robert performed "A Change Is Gonna Come" and "In The Midnight Hour" again. Tina was on fire during these nights and for most fans who were there those nights it became a memory which they will never forget. Here are some wonderful pictures from Wembley!!! We also have a special surprise. We have 2 recordings of 2 different nights from Wembley 1987. From each night we’d like to share 3 songs with you. For fans who were there: We sure hope you can re-live those magic moments with Tina. And for all fans: Enjoy!! We think that the single "Break Every Rule" also was released during this period of time. During Tina’s visit in The UK, Tina performed the song on an English TV show called Wogan. Here’s the video!! Finally it’s time to go way up north to meet the fans from Scandinavia. First stop Oslo, Norway. 30.000 fans waited to see The Queen in action. "The Break Every Rule" album did great in Scandinavia. With Joe Cocker as opening act, nothing could go wrong. The tickets for this show sold out fast, cause Tina wouldn’t return to Norway to do more shows. We have an old news report of this event in Oslo. Also a few pictures. Enjoy! We’re going back to Germany! Tina had to perform at the Open Air Festival in Karlsruhe. This concert was sold-out too. 45.000 people were attending this event. 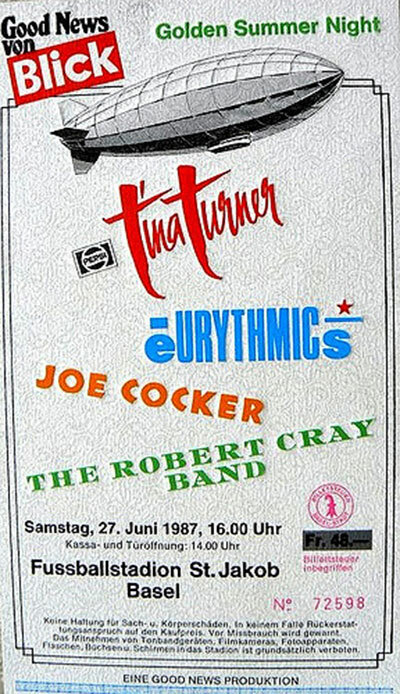 We sure hoped that we would find anything about this concert, but this wonderful event was overshadowed by a tragic murder in the neighbourhood of the stadium during Tina’s concert. It became a cold case and finally after 28 years they’ve found the perpetrator. But we do have something else. A performance of Tina Turner on a German TV show called Mensch Meier. Tina performs "Two People". Enjoy! Tina returned to Austria and Switzerland again for Open Air concerts. Both concerts were sold out!! 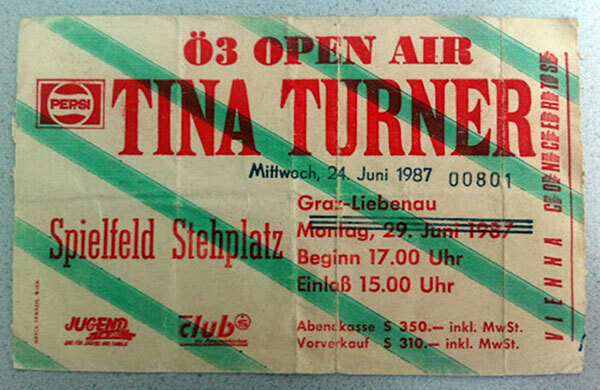 Tina wouldn’t return to Austria anymore in this tour, but would return for her last 1987 date in Switzerland in July. Here are some pictures and old Tickets for Tina’s concerts in Graz and Basel. Tina last destination for this month was again Germany. The German fans really had a blast during the "Break Every Rule Tour". Tina visited Germany all the time to perform either live or on television. Tina gave a show in front of 102.000 people in Münich on the 28th of June. Tina always dreamt of performing for huge crowds. This was one of them. 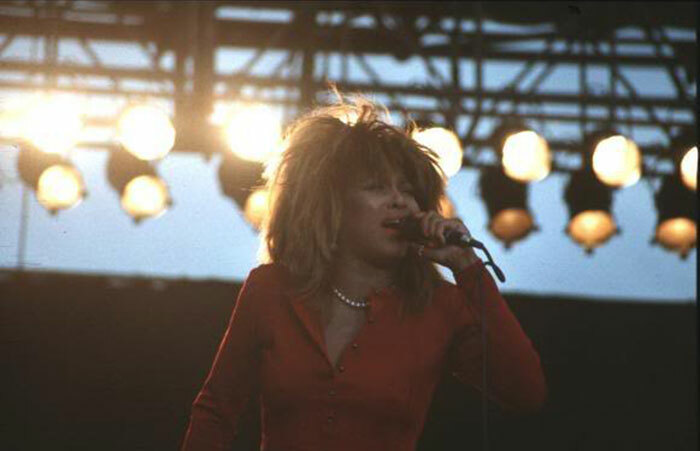 Tina rocked them all out. But…. You can see that for yourself in the next and last video for this post. Stay Tuned for the last post of this European Tour and of course Enjoy! !